‘Tis the season for baby announcements. So what do you get for the working mamas on your list? San Francisco-based Ingrid & Isabel makes super soft and flattering maternity wear (in fact, I’m still wearing the mama-led brand’s cowl neck sweaters well beyond my basketball-belly pregnancy). It’s evident that founder Ingrid Carney knows what matters to busy mamas: this Maternity Nursing Wrap Cardigan ($88) does double duty and is machine washable. What’s cuter than a baby adorned in an animal-ear hoodie? 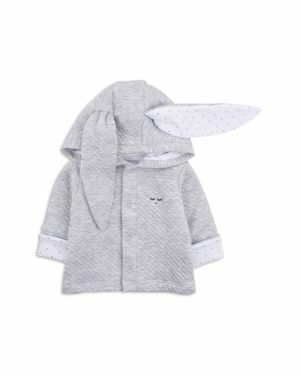 LIVLY makes this Unisex Hooded Cardigan with Bunny Ears ($58) and other dreamy baby clothes out of Stockholm. The brand was created when founder Lisa Carrol had premature twins whose delicate skin called for the softest cotton she could find, ultimately leading her to Peru for its signature Pima. Speaking of Pima, Kissy Kissy has been in the baby business since 1996, when its Peruvian-born founder, Roxana Castillo, sought out the softest pajamas possible for her grandson. 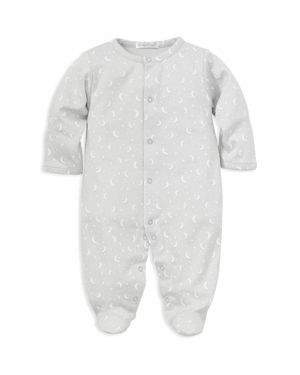 The brand is widely celebrated for its jammies, like this Unisex Moon-Print Footie ($36) — and donates clothing and fabric to six women and children’s charities. Based in Utah, Freshly Picked was started by Shark Tank alum Susan Petersen, known for setting the baby moccasin world on fire. Working mamas can be interchangeably office- and weekend-ready with this Faux Leather Diaper Bag ($175). I’m going to assume I’m not the only working mama that still has a long list of holiday shopping to do. For more ideas and inspiration, check out Gifts for the Tired Mama and Mama Makers from Head to Toe.